Every year it seems that Xmas starts earlier and earlier. I was in a well known supermarket a couple of weeks ago and they had already started stocking Xmas-themed foods and products. Now, I know you guys are busy, lots of hours spent in the office doing something ‘important’. Well, I assume it must be as you choose to do that over going home to spend time with your children and your Goddess. But don’t worry! Father Cris-Mas has got your back! Now you can spend all the time you want in the office, replacing your self with this years must-have present for Busy Dad’s…. It will be like you’re always there with these custom-made, personalised dolls which carry a picture of your face so that your kids don’t forget what you look like! Because now you can be there in spirit, if not in body! 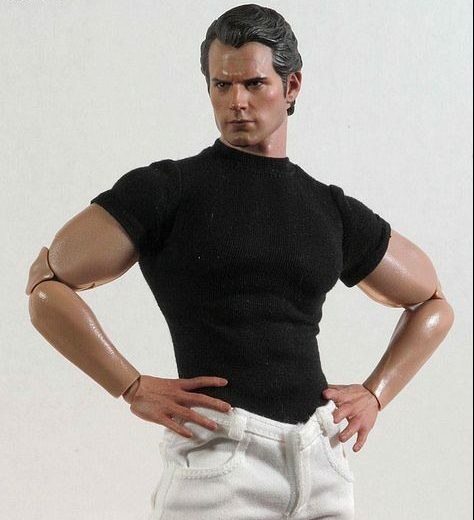 Or, instead of using a doll, why not surprise them with the best version of yourself, on a regular basis! Having more energy and more free time to do the things you want to do with your family! Creating the kind of memories you’ve always wanted! This is what my Build+ & Burn- Transformation Programme was designed for. A complete training & nutritional blueprint with effective mindset strategies to enable you to take control of your life. There are only 50 spaces available on the Build & Burn Programme, so don’t delay.